Suddenly everyone is talking about avocado on toast after watching the debut episode of Nigella’s latest seductive food series. A few people might have mentioned that mashing avocado on toast isn’t actually a recipe. Personally, I’d watch Nigella spread Marmite but if you want to up the stakes, here’s my absolute favourite quick and light avocado on sourdough toast lunch dish. Firstly, some fun avocado facts. Avocados are actually protein-rich fruits and a great source of ‘good’ Omega-3 fats, as well as Vitamin K and they contain more potassium than a banana. In this recipe, I’ve upped the protein content, with some smashed soya beans and some tangy goat’s cheese. I love soya or edamame beans because they have a wonderfully nutty flavour and these days, you can find them in the frozen section of any large supermarket. A quick soak in boiling water is all you really need to do to prepare them. Because I wanted my beans to look extra beautiful for their photo shoot, I popped them out of their little skins too but you could easily leave them on – you won’t notice them when you’re eating them. If you can’t find any soya beans, you can easily swap them for broad beans. 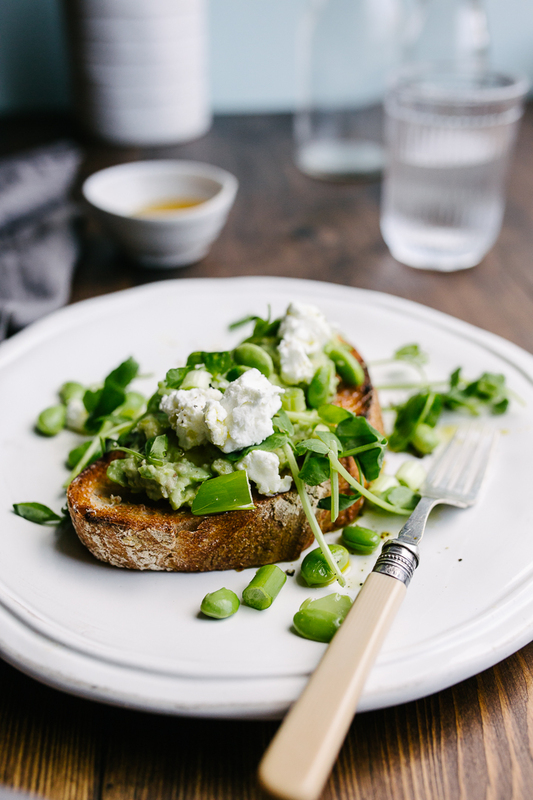 Accessorize your yummy toasts with any leaves you fancy – I went for pea shoots because I wanted the sweet pea flavours to balance out the goat’s cheese. Make sure you have some great quality olive or rapeseed oil to drizzle generously. 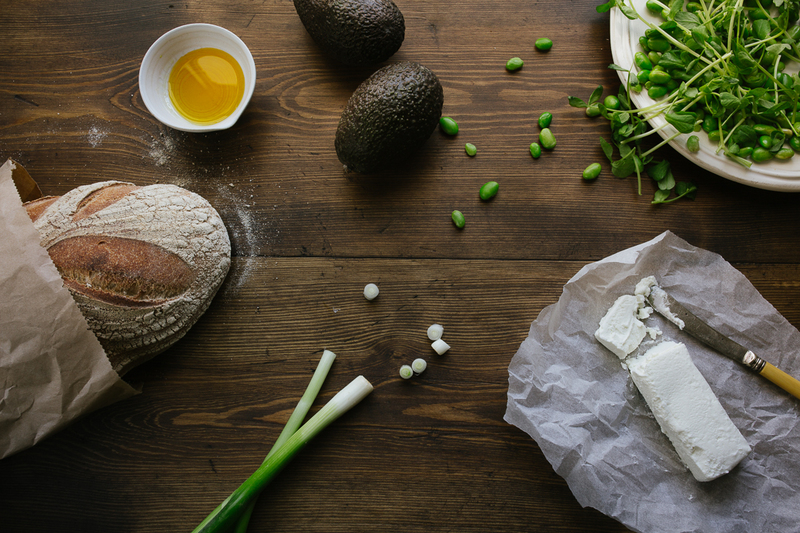 In a bowl, add your soya or broad beans and a pinch of rough sea salt. Use a fork or potato masher to roughly smash the beans, then add the avocado. 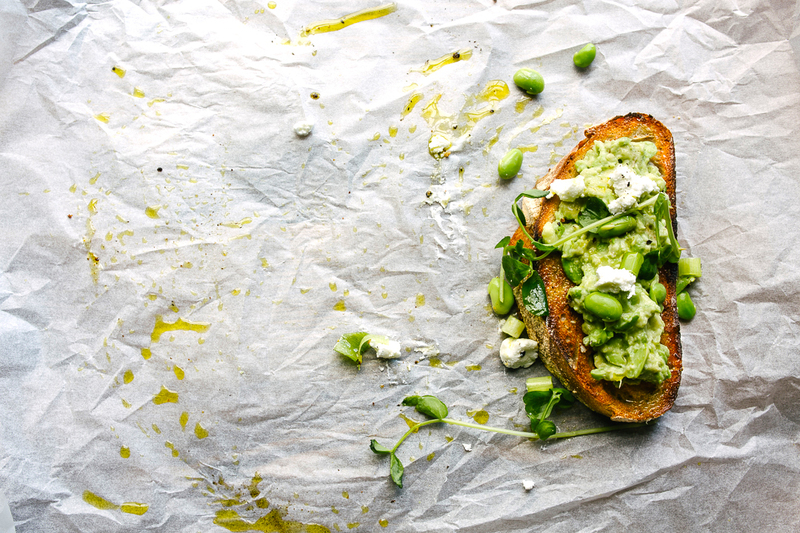 Mash the avocado together with the smashed beans so that you have a spreadable mixture. If you wish, you can add a little mayonnaise to bind. Add a little lemon juice and season to taste. Toast your sourdough and when the toast is ready, take a whole clove of garlic, slice off the end and rub all over the cooked slice of toast. Drizzle over a little oil. 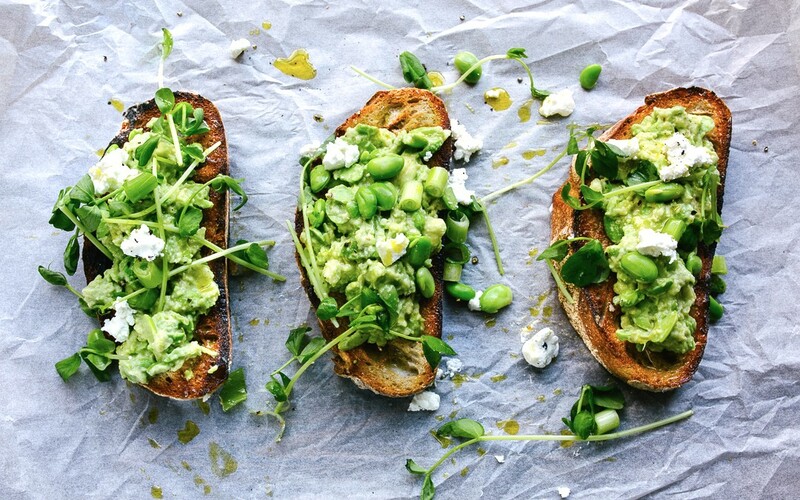 Pile your avocado and bean mix generously onto your toasts. Place on the plate, sprinkle over your salad leaves, spring onions and add some rough chunks of the cheese you are using. Drizzle with a little extra virgin oil and scatter a litte sea salt and black pepper. Enjoy! Yum, yum, yum! I’ve eaten lots of avocado toast, and I love the idea of adding a tangy, salty cheese to the mix. I definitely think that’s the missing ingredient. I sometimes struggle with how to use goats’ cheese, but this totally worked. Lovely blog and lovely pictures Melissa. The toast looks so tempting. I love the greens on them. Thanks so much, Remya. It’s kind of treat lunch you don’t have to feel bad about! Avocado toast is THE BEST! I seriously eat it every singly day for breakfast. 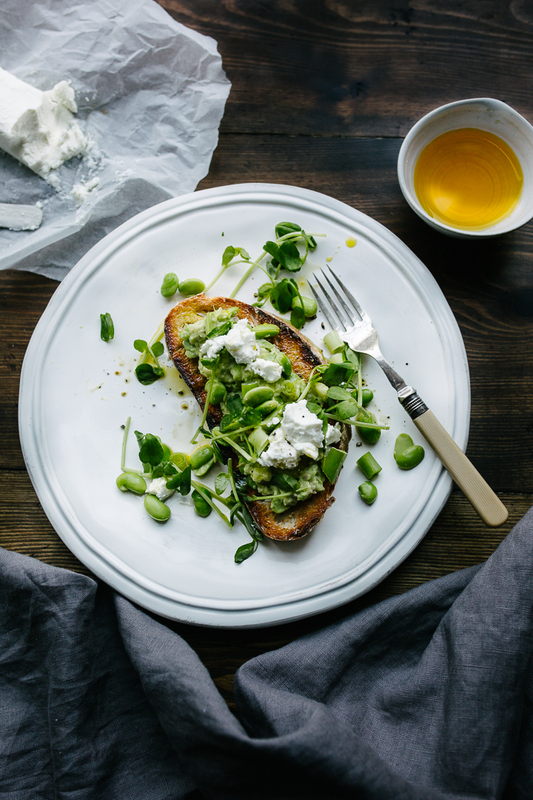 Avocados are SO good for you it’s amazing – don’t know what I would do without them! Thanks Vicky, you’re absolutely right. I can see and feel the difference in my skin when I eat more of them too. Your photos are gorgeous, I want to reach into my screen and pick up a slice of toast. 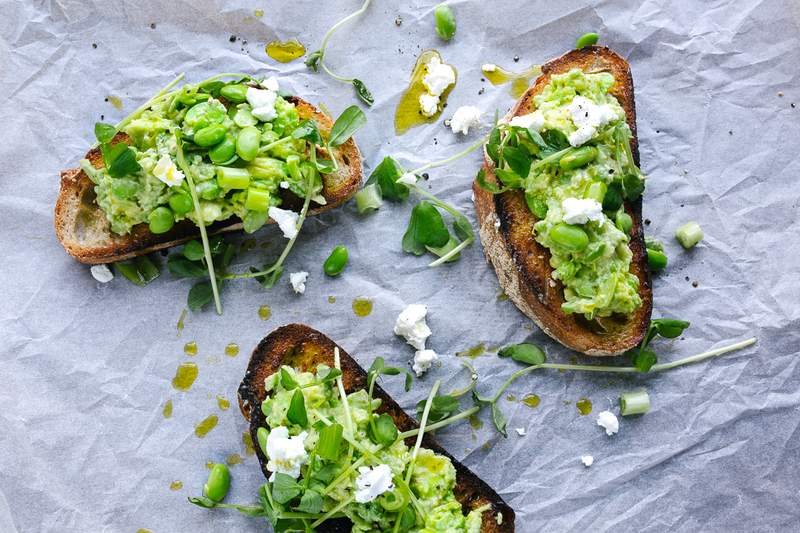 Avocado toast is my favorite breakfast (or sometimes, a mid-afternoon snack!) and I love your idea of adding goat cheese or feta. Thanks so much, Amanda. I can’t quite do avocado for breakfast (well not in winter anyway) but I must eat one a day, for sure. It’s all about the sourdough. I want to make that next! Never tried avocado with cheese! That’s a good one! I hadn’t either, but they actually are kind of perfect together. I’m not quite up for having it for breakfast like Nigella, but I must eat one a day! I definitely eat an avocado a day – forget about an apple a day! There seems to be a new fad every month… but avocado on toast is something my father used to make for us when we were kids. Your version looks delicious! It was my biggest treat growing up in Australia too. I can’t belive I get to eat them every day as an adult! In my mind, I still think they are special. It doesn’t get any more perfect than this. Simple yet stunning! Thank you Des – it’s often the simple things that are the best don’t you think? Thanks so much, Ange! I am loving goats’ cheese at the moment! Oh YUM!… I love this gorgeous green combination of flavors. And your photography is just as lovely and delicious as the food! Thanks so much! You should definitely try making these -so quick and easy.